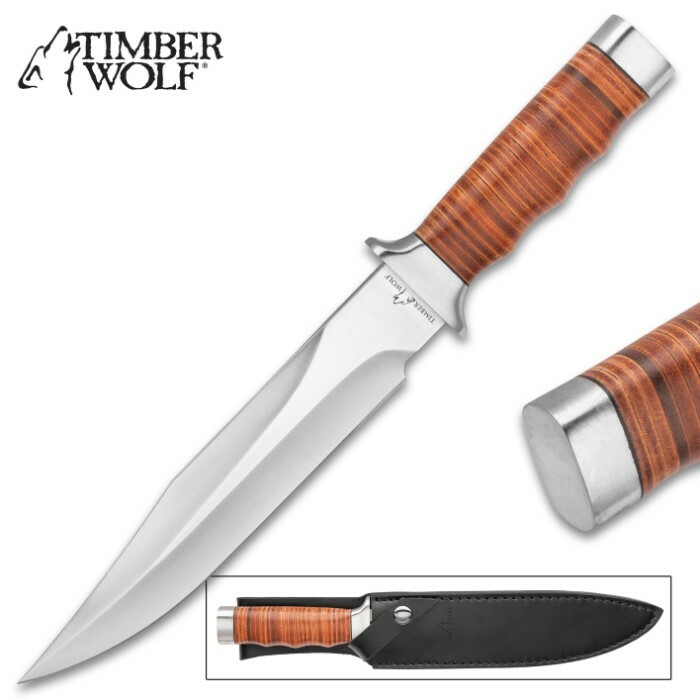 Timber Wolf Leather Work Bowie Knife And Sheath - Stainless Steel Blade, Leather-Wrapped Handle, Polished Steel Guard And Pommel - Length 13” | BUDK.com - Knives & Swords At The Lowest Prices! 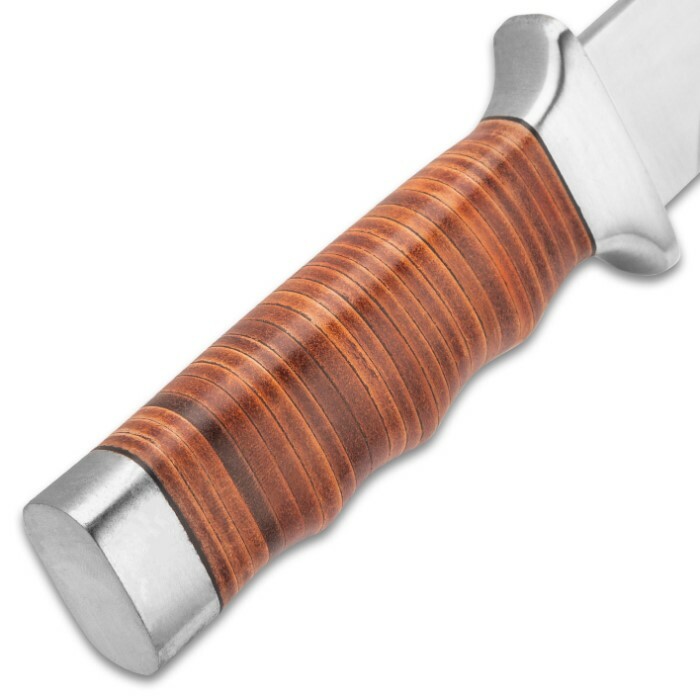 Taking a legendary knife to new dimensions, the Timber Wolf Leather Work Bowie Knife is a new interpretation of the Vietnam-style bowie knife. 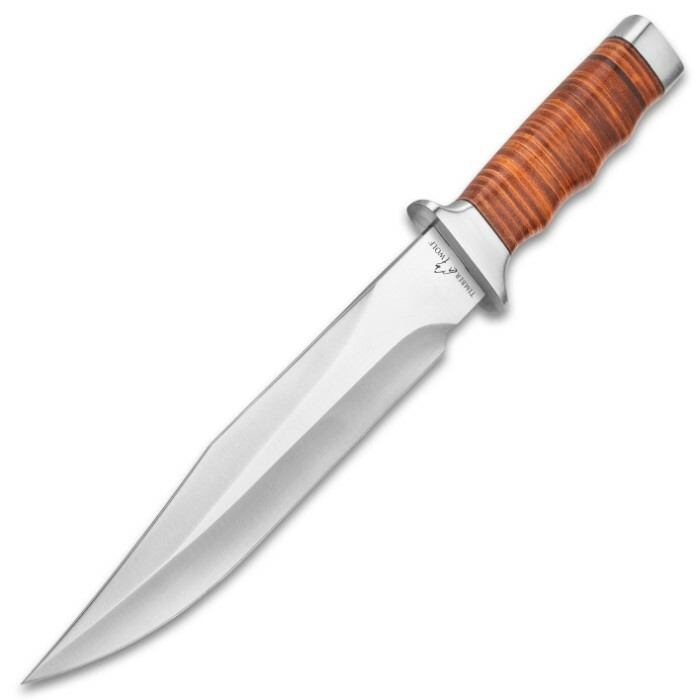 It has a keenly sharp, 8 1/4" 440 stainless steel clip point blade with precise grinding, complemented by a polished stainless steel guard and pommel. 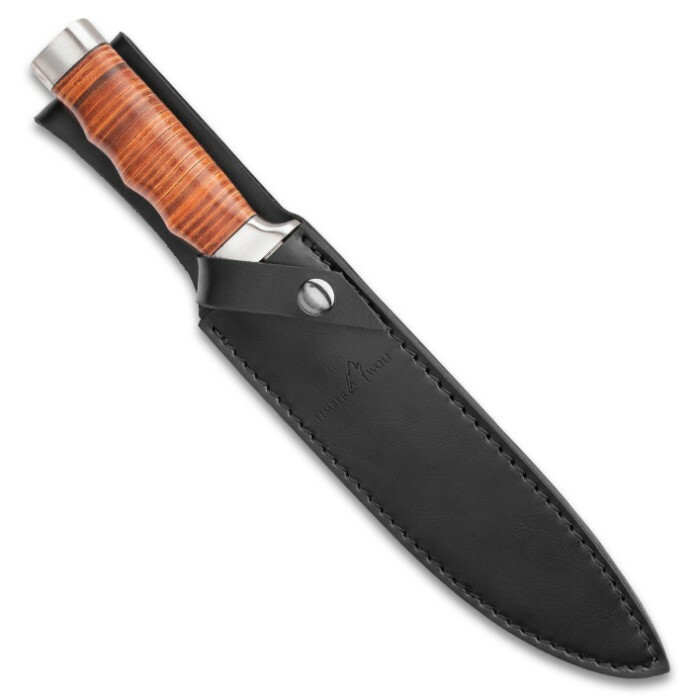 The genuine banded leather handle features soft finger grooves so that it’s comfortable to hold and use. A premium leather belt sheath with a snap closure houses the bowie. When fighting through the jungle, you need a friend you can count on. A big, impressive friend you can count on! 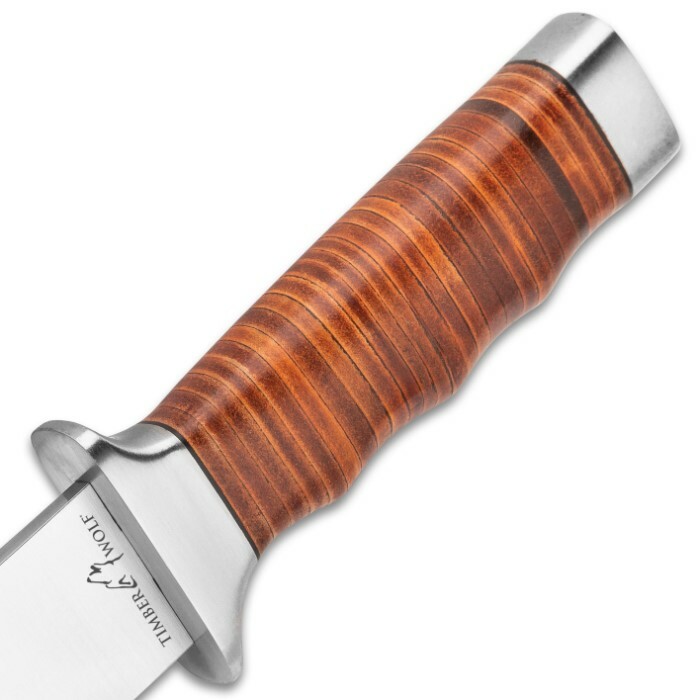 Good in all aspects, You can shave with this one , very good sheath. Just the right size. All for 40$. All stainless.